Even in Obertauern the sun unfortunately does not shine every day. 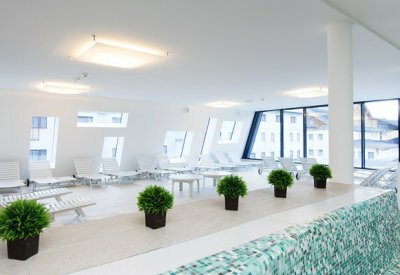 When the snowfall becomes too dense then the hotel’s indoor pool at the Wellbeing Hotel Perner is just the right pastime for you and your family. 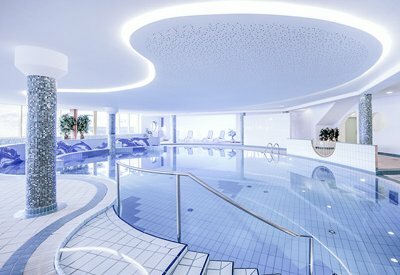 The water surface alone covers and area of 120 square metres so there’s enough room to linger and for young and old to enjoy a day in the warming waters of the pool. But also after a day on the slopes of Obertauern the hotel pool sooths aching muscles and offers the ideal relaxation for body and soul. 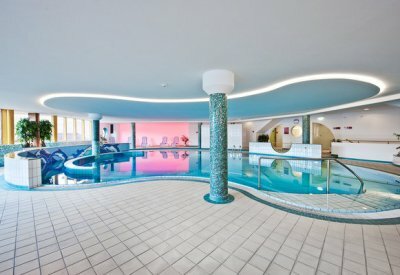 You will be delighted by our attractive pool area with its great design, plenty of daybeds and lots of extras. In the white water channel, your kids can put their swimming skills to the test and the counter-current unit will enable you to swim for miles even in the middle of winter. Here you can request a non-binding holiday offer for your ski holiday at the Alpenhotel Perner.